Middletown, Maryland - James Ralph Grothe, 91 of Middletown died peacefully at home on Sunday, February 10, 2019 surrounded by his family. Born November 1, 1927 in Burlington, Iowa, he was the first son of the late Johanna Cordula (Albrecht) Grothe and Ralph Charles Grothe. He was the husband of Celine Maureen (Sally) Lietsch whom he married on May 20, 1950 and who preceded him in death on October 11, 1996. He was predeceased by his parents and stepmother Olga Fitchner, and five of his sisters, Helen Mary, Virginia Timmerman, Frances Bruce, Mary Walgren, and Joanne Eklund, special friend Helen Lejnar, and many other in-laws and loved ones. He is survived by his children, Michael James Grothe and wife Sara of Rockville, Gloria Ann Vigder of Middletown, and Marie Trista Martin and husband Jim of Middletown; grandchildren, Ryan Michael Grothe of York, PA, John Michael Grothe of Easton, Rachael Celine Cross and husband Darius of Catonsville, Julianne Rose Grothe of Laurel, Joshua Craig Vigder of Alexandria, VA, and great-grandchildren Lincoln Alexander Cross and Emberly Rose Cross. He is also survived by his sister Catherine (Kay) Fisher of Burlington, IA, brothers Mark (Pete) Grothe of Burlington, IA, Leo Grothe and wife Sandra of Palm Beach Gardens, FL, and David Grothe and wife Barbara of Bettendorf, IA. He is also survived by his loving family of in-laws including Rosemary Harris, Judy Heap, Mary Ellen Rincon, Mickey Daly, Sheila Drew, and Tommy Lietsch, and over one hundred nieces and nephews. Jim Grothe was known for his kindness, gentleness, generosity, wisdom, wit, and good-natured, God-loving, spirit. He helped many others in times of need, and caring for family was always his first priority. For 30+ years he was an active parishioner of St. Jude Catholic Church in Rockville Maryland, and then Holy Family Catholic Church in Middletown Maryland. He was a member of the Holy Name of St. Jude Catholic Church, where he volunteered selling Christmas trees, serving at church dinners, bazaars, and other functions. He was a member of Holy Family Catholic Church in Middletown, where he sold grocery certificates after church, planted trees and flowers in the church gardens, served as altar assistant for funeral masses, and various other services. He was a member of the Burlington High School Class of 1945, where he was on the basketball team. After high school he served honorably in the communications department of the U.S. Army and enjoyed foreign military travel, including stays in Hawaii; Tokyo, Japan; Shanghai and Peiping China. After his military service, he attended Burlington Junior College, married, and moved to Washington, D.C. in 1951, where he attended American University and studied Chemistry. He was employed by the Interstate Commerce Commission from 1951-1967, and the Department of Transportation from 1967-1986. He retired from DOT as the Chief of Exemptions, Hazardous Materials Branch. He very much enjoyed his job in the federal government, and appreciated the camaraderie of wonderful coworkers. Jim and his wife Sally enjoyed retirement in Daytona Beach, Florida where they lived for ten years before moving back to Maryland to be near family. 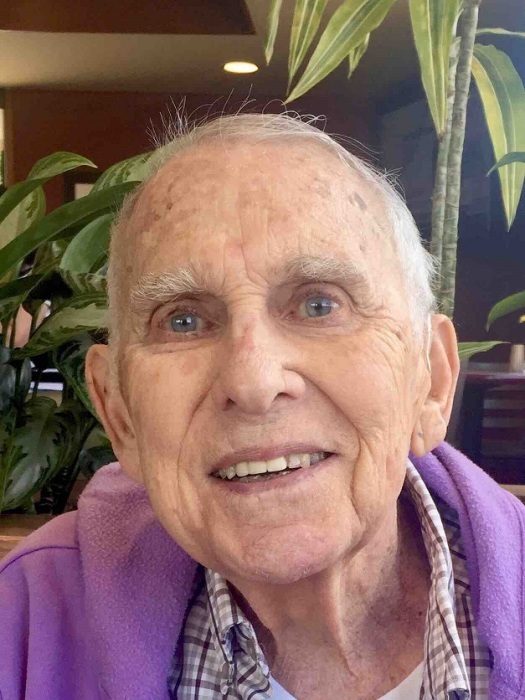 Throughout his life, he enjoyed puns and word play, watching football, golf, and baseball on tv, reading the newspaper and books, socializing, playing cards, bowling, and especially spending time with family and his many dog and cat companions over the years for their companionship, loyalty and devotion. He was a patron of numerous charities and organizations, including St. Jude Catholic Church, Holy Family Catholic Church, Notre Dame High School of Burlington Iowa, and Guiding Eyes for the Blind. A Mass of Christian Burial will be held on Saturday, February 16 at 11:00 a.m. at Holy Family Catholic Church, 7321 Burkittsville Rd., Middletown, MD, with the Rev. Msgr. Rob Jaskot officiating. Lunch reception to follow. Family and friends will be received on Friday, February 15 from 3:00-6:00 p.m. at Stauffer Funeral Home, 1621 Opossumtown Pike, Frederick, MD 21702. A Christian burial with military honors will take place on Monday, February 18 at 10:30 a.m. at Gate of Heaven Cemetery, 13801 Georgia Avenue, Silver Spring, MD.